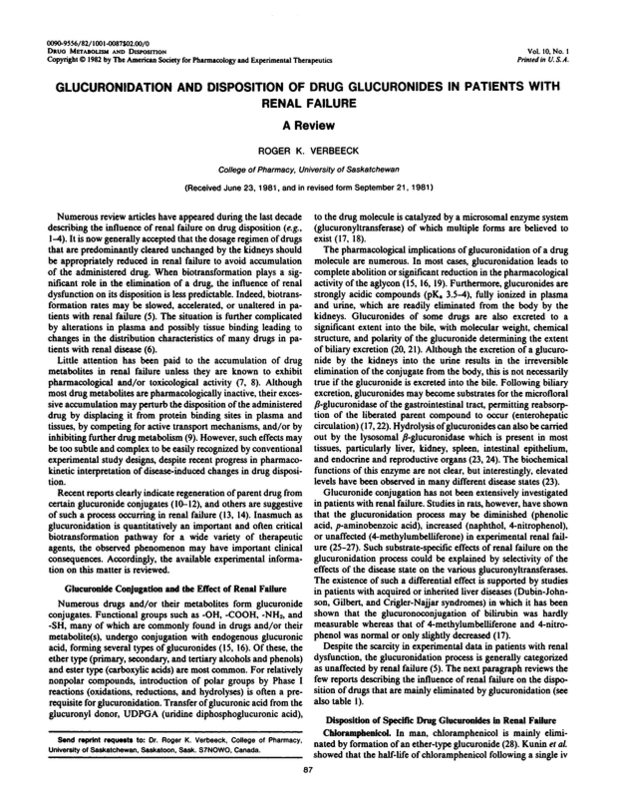 Glucuronidation and disposition of drug glucuronides in patients with renal failure. A review. You are going to email the following Glucuronidation and disposition of drug glucuronides in patients with renal failure. A review.